APIEM contributes to the professionalisation of the events industry in Asia Pacific in a number of different ways. One way in which we do this is by providing a certification scheme for events/MICE tutors who can demonstrate that they are delivering teaching, learning and assessment strategies in events/MICE to an international standard. The APIEM Certified Event Management Tutor qualification is open to all events/MICE tutors (not just those who work in Asia Pacific). To become an APIEM Certified Event Management Tutor the faculty member has to compile a portfolio of the teaching, learning and assessment strategies they use with their students and then undertake an oral examination with an APIEM Assessor. The benefits of becoming an APIEM Certified Event Management Tutor are many but perhaps most importantly this qualification confirms that the tutor is one of the best in Asia Pacific for the teaching of events/MICE subjects. Such accreditation will help with career progression and perhaps could lead to an enhanced salary and promotion. It was a pleasure to award an APIEM Certified Event Management Tutor Certificate to Ibu Peni, the program leader of Indonesia`s 1st Events degree course that is offered by the School of Economics and Business at Universitas Prasetiya Mulya, Jakarta. 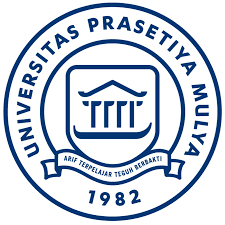 Ibu Peni has worked with her colleagues to design a curriculum that is of an international standard and incorporates teaching, learning and assessment strategies that would typically found on events degree courses in Europe, Australia and North America. 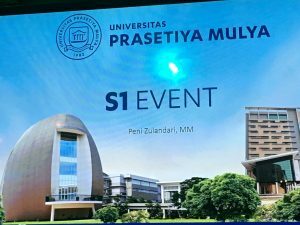 Many congratulations to Ibu Peni on your great achievements at Universitas Prasetiya Mulya – you are a true inspiration for your students.